My actual dog is cuter. Bluetooth connectivity to your iPhone. The few of you who don't already want one will change your mind as soon as you see it introduced. "The iWatch will have 1.5-inch LED screen, send and receive e-mails, texts and Facebook alerts... product will connect with other devices wirelessly, later versions may have a speaker and a microphone". 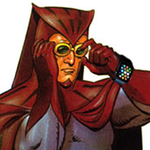 I think of more ways the iWatch could improve my life, every day. Another brainstorm - setting my status. Why should I have to go to the iPhone, then the iPad, then the Mac to let people know I'm on my lunch break and NOT to try calling/facetiming/iChatting etc? Why not just go to the iWatch and flip one slider to "Do Not Disturb"? iCloud updates all my devices. DONE. Both NYT and WSJ are now making noises about the Apple Watch. It's gonna happen folks. Primarily because there is a clear utility to it. There are many times each day when people need information that would be far more convenient to have on their wrist than in their pocket or purse. And there is a good business case for it. It extends Apple's iOS ecosystem, adding new revenue from its customer base without product cannabilization. As a fashion piece it could retail easily as high as the iPad line, with higher margins. I posted this in the weekend section, but it is probably more appropriate here. Some really interesting thoughts on the potential of an iWatch. I've already posted this in a couple of other threads, but I think this could be apples answer to the cheap iPhone question. Consider the consequences if this isn't a iPhone accessory, but instead a wrist mounted device running a full version of iOS with cellular capability, at least capable of cellular data and running FaceTime/iMessage/Skype etc. Apple has spent its iPhone R&D budget on continuously making each iteration of its form factor thinner and more powerful, while android competition has focused on "Bigger is better!" "Bigger is better" means the competition hasn't focused on miniaturisation (but apple has), they haven't focused on lowering power consumption (but apple has), they don't have a history of mass producing tiny consumer devices with great battery life (like apples ipod nanos & shuffles), they haven't spent time or significant R&D budget on future miniature devices (Which Apple likely has according to rumours). Before the iPad, the bulk of people looking to spend as little as possible on a computer were buying NetBooks and cheap laptops. After apple "changed the game" (hate that term) with the iPad, most of those people started buying tablets and the NetBook market collapsed. Instead of buying a device that is a half crippled PC, they buy a different type of device that is not a half crippled version of something more expensive. At present billions of people across the globe are choosing sub $200 android smartphones as their communication device, most of which are half crippled versions of the top end android/iPhone class of devices. The iWatch could be the new class of smart-communication devices that isn't half crippled, but instead a new type of device designed from the ground up to be something different from a smartphone. Definitely seems Apple had something in mind when they squarified the iPod nano. It's fine for Apple to keep seeing where the string leads them. Just as long as the side projects don't mess with the stuff that really brings home the bacon. I'm calling this the new nano, kind of like the old one, but different, presumably better. I have not worn a watch in years. I have a couple of really nice watches that I would wear when dressing up, but I don't even do that anymore. Not sure why I have even kept them. Probably should put them on ebay. I see all these people with their ear pieces. When talking everyone can hear their conversation. Why? Why would someone switch from an ear piece to something on their arm? Does anyone have any data on how many watches are sold worldwide in the +$150 market? 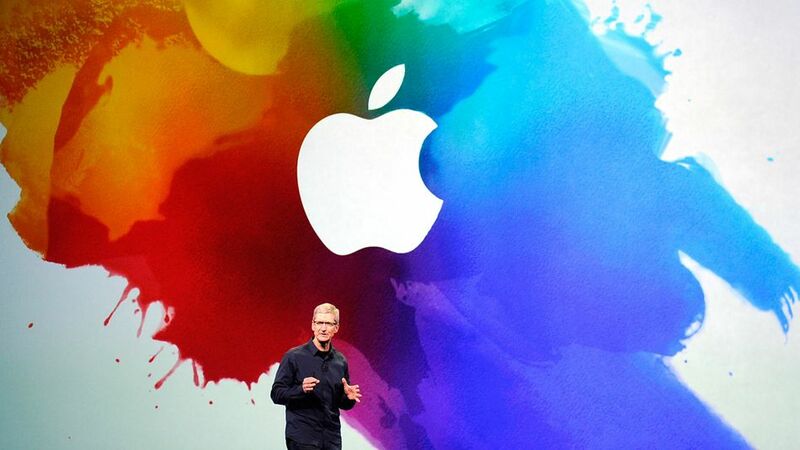 The buzz over Apple's iWatch has been at fever pitch all week. Today, the US Patent & Trademark Office published a patent application from Apple that reveals an advanced wearable computer in the form of a bracelet that could double as a watch. That's the key, as the bracelet goes far beyond being a wristwatch. Apple states that with a multitouch display, the user "can accomplish a number of different tasks including adjusting the order of a current playlist, or reviewing a list of recent phone calls. A response to a current text message can even be managed given a simple virtual keyboard configuration across the face of the flexible display." Apple's contemplates utilizing a solar panel beneath the display as well as take advantage of kinetic energy. This is one hot little invention and the drum is beating very loudly of late for such a device that appears to well into development. Walt Disney told the builders to change the pavement texture when crossing into a different park area. The builders resisted, and wanted to just pour the same concrete. Walt stood firm saying "the guests can feel the difference through their feet." And Walt was right - we can. One of the key differentiators with Apple hardware is what I'll call the caressability factor. When you have a piece of tech about your person for hours every day, holding and manipulating and consuming your attention, it helps if that tech feels nice under your hands. Details matter. We can feel the difference. That difference does not come cheap. If you operate a magic mouse all day, and are then presented with a Dell or HP mouse, there is no question (at least for me) which I'd rather stick with. Any future wearable devices need to factor this in. The MNML iPod Nano watch bands were bulky by necessity but the materials were luxurious. This was a real factor in their success. The Nike+ fuel band has a good caressability factor, is simple and has reasonable battery life. Even with limited functionality they are still in demand at $150. Like all else Apple, when you touch whatever it is they eventually ship, you (and millions of others) will *need* to possess one. But to be fair, it appears Samsung already released a touchscreen smartwatch WITH A PHONE BULIT IN, back in 2009. Hell, if Samsung could do it in 2009, I see no reason why Apple can't include a cellular connection in its forthcoming iWatch. All of a sudden everyone and their brother is rumored to be developing a watch. So here's a thought experiment: suppose that all the usual suspects all bring to market a nearly identical watch on the same day. Which will sell the best? My answer: Apple by a mile. Apple has the loyal customer base that will buy almost anything Apple does to extend its ecosystem. Apple has the well heeled customers who can afford a new trinket. Apple has the Apple Stores that can display the watch to the public. Apple has the early adopter customer base. Samsung, LG, etc rely on carriers for distribution. They have proven to be of little help with regard to non-phones. Hence Apple's huge lead in selling tablets. Of course someone can potentially sell more than Apple by dramatically lowering price and margin, but that's just another demonstration of Apple's enormous advantages. New product category coming soon. Here is a band for the forearm for gesture control. If they could combine into the iWatch somehow, it would bring the scene in the movie "Minority Report" to life for perhaps an iTv in the future. Looking ahead to Apple Watch v3.0 (which should ship with an Apple SIM to access the Apple MVNO), I wonder how the device will connect to secured hotspots. With current hardware, you connect iPhone, which transfers settings to the watch, which allows subsequent untethered use on that known network. If the goal is to ship a completely untethered product, how will I walk into a hotel (for example) or visit a friend, and enter their Wifi password? Siri is good, but will she understand when I dictate "@pplel0v3r1984!" into the password field? Will the Apple Watch need to get an "Apple TV-style" keyboard? Will you pair networks through iCloud? Apple is about simple, but entering clunky long passwords on Watch is not user friendly. What am I missing here?